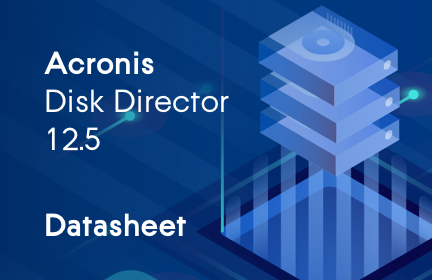 Acronis Disk Director 12.5 is the essential toolkit to manage your data and hard drives. Easily create hard disk partitions; resize, move or merge partitions without risk of data loss. Recovery also becomes easier with Acronis Recovery Expert. The new Acronis Disk Director 12.5, now supporting Windows Server 2016 and 4K hard drives, and provides all the essential capabilities you require.